– Isn’t there only chaos? 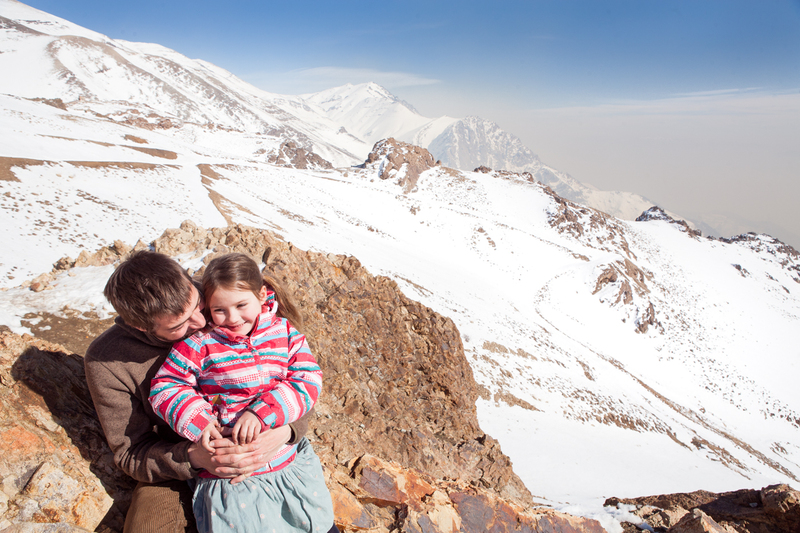 Is Iran really the right place for family winter holidays? – Tom’s father asked us, and he was not the only one asking this question. 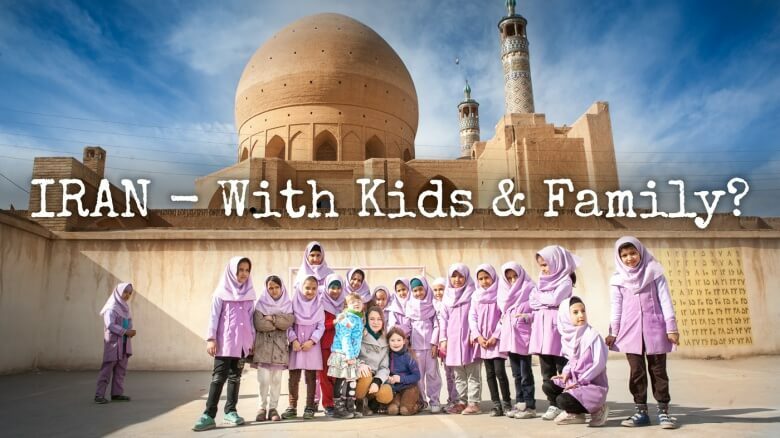 So let us talk about how is Iran for travelling, in winter, for a family, for a woman and for the kids. TOM // We both didn’t know too much about Iran before the trip. I know some stuff about politics, history. You knew some stories from friends, but we were not really prepared, hmm? ANNA // Yes and no. 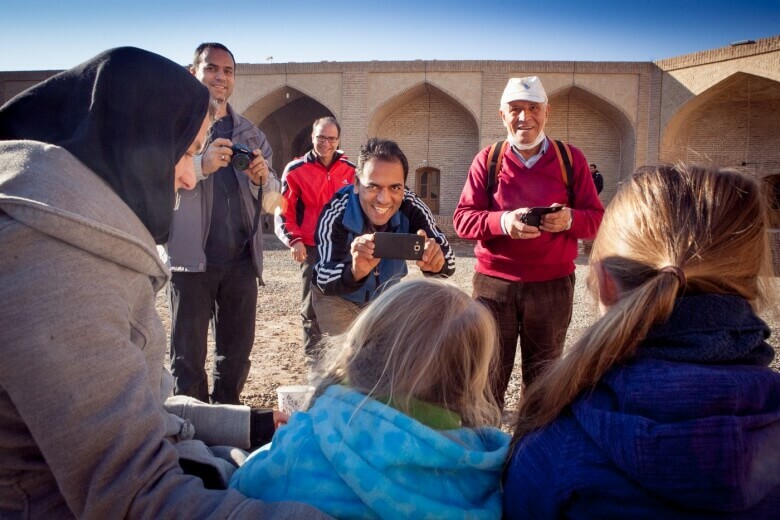 For the last five years, I’ve heard from so many friends how hospitable Iran is. “This is a country for your family!”, people used to say. And, since we have visited in those last years, really very far away and very “different” countries, taking a decision about going to Iran was not a challenge anymore. It was on our list-to-go and few weeks before, when I saw those cheap flights Berlin-Tehran (300 euros for 4 of us there and back! ), exactly on the dates, when Hanna had a few days free of school (nope, it’s not easy anymore this travelling! ), I just had to bought them. And I knew that, in this crazy time with all the refugees campaigns and last work on the book, there will be no time for preparations. But it’s still better to go not prepared than not to go, right? TOM // So we had our first little surprise arriving in the middle of the night. 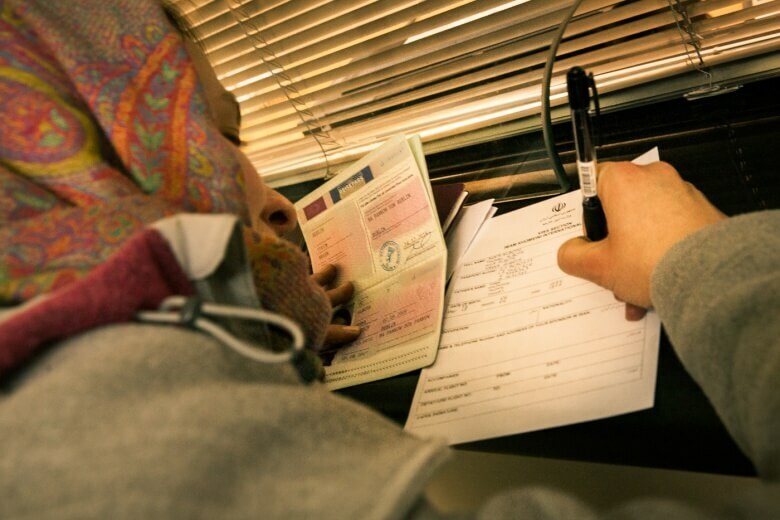 We didn’t apply for visas in advance, because you sweetest, were fighting for your new passport until the last days (Anna had to change the passport, because in the old one she had a stamp from Israel, which is a real no-go at the Iranian border). So… will we visit the Iranian embassy in Berlin next time to get our visa before we enter Iran? 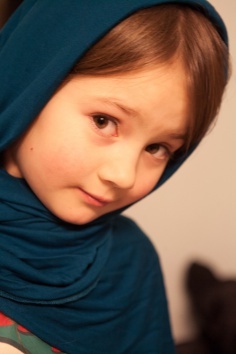 TOM // Think positive… In Iran, all the time, you needed to have the scarf on your head. How did that feel like? ANNA // Uhhh. That was not easy. I love to feel comfortable and generally I prefer to have rather less clothes than more on me. But before the trip I thought: well, what’s the problem, it’s such a short time. But I have to say, that it was really annoying. And if girls, being forced to take off their scarfs feel as bad as me being forced to wear it – I’m officially really sorry for the people forcing them. TOM // Is it a reason not to travel to Iran? ANNA // No, come on. Respecting the rules and the habits of the place, make the travelling deeper, I think. HANNA (our bigger daughter, 6 y.) // And next time I will also wear the scarf! Hanna – do I have to wear a scarf? Hanna, did you like the visit in the school? HANNA // No! All the kids wanted to touch me and everybody was taking pictures of me. ANNA // But that was quite everywhere like this in Iran, no? HANNA // Yes, but sometimes I was in good mood and it was ok.
ANNA // Was there anything else annoying you? HANNA // : Driving in the taxi in Tehran. Those drivers were crazy! Fast and driving everywhere, on all the lanes. TOM // Oh I am still happy we had taxi drivers. 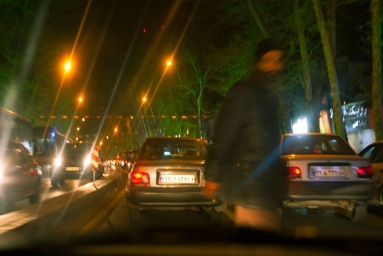 I wouldn’t like to drive a car in the traffic of Tehran. Even driving in Georgia seems much easier. I can understand why rentals are so expensive – guess they have a lot of accidents. Life can be much easier if you have less sometimes. No car, no worries. And taxis and busses were really affordable. HANNA // And in metro there are wagons for ladies only! But sometimes they pushed us altogether into the ladies one and our papa was the only man! MILA // And we didn’t have to buy tickets, remember? ANNA // Yeah, the ticket seller said: “be my guest”, so even for metro we didn’t have to pay. I think in general, travelling in Iran is cheap. Since the petrol is cheap – all the long distance bus rides are cheap, even taxis are ok. Food in the local bars is cheaper than in Berlin or Warsaw and sleeping… well, it’s a challenge not be invited to people’s homes;) And couchsurfing is super big in Iran. Since some other social media are blocked and the people are very hospitable – couchsurfing is THE thing to do. 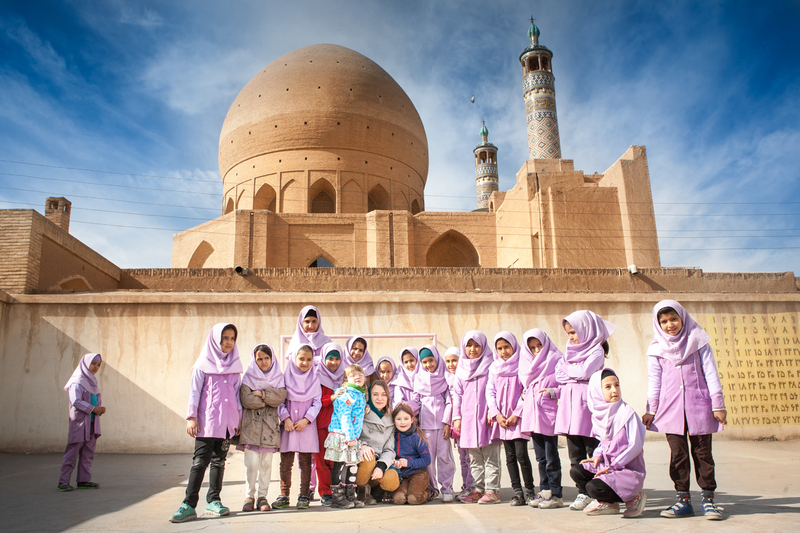 TOM // Girls, and what did you like the most in Iran? HANNA // Running on the desert! MILA // A little camel, who was 2 weeks old! HANNA // The big mountain almost just in the city! MILA // And that you can ski there! TOM // Oh yes, this was amazing: driving to the north part of the city, sitting in the cable car and suddenly you are on 3000 metres and people around you carry a snowboard. Very cool. ANNA // But we had a plan to go up and have a lovely view on the city. Well… Tehran is sooo polluted that not only breathing during city walks is not fun but from the cable car on one side you see amazing peaks of the mountains, and on the other: a grey, grey hole, where the city should be. 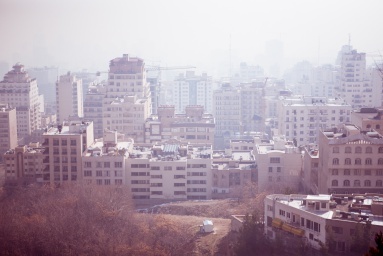 TOM // Do you feel like coming back for the next Iran trip? HANNA // Yeeees, maybe for skiing? ANNA // Yes, but I can’t imagine travelling in summer. Even in the coldest month of the year, in the scarf and with long sleeves, I was sometimes too warm. I guess spring must be nice – not too hot but green trees, flowers, and still not many tourist. Must be beautiful. TOM // Have you ever felt in danger, felt threatened – as a woman? I felt completely save all the time. 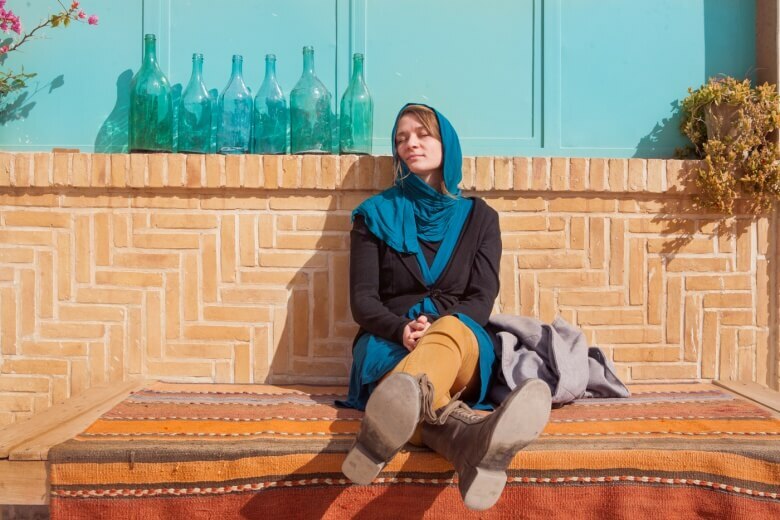 ANNA // In Iran, even if I put a scarf and a coat, I mean – everybody sees my green eyes and blond hair, somehow. So I do look different. And it’s the first country, I felt a total respect and no single “hey hey girl” look from any man. Man could say a compliment, even a very beautiful and metaphoric one, but in a super polite, respectful way. TOM // Oh this money thing! The official currency in Iran is: “rial”. But Iranians almost always talk in “tomans”. At the end it’s not difficult – just 1 toman is 10 rials, but at the beginning it’s really annoying. You agree with a taxi driver on some price and he want’s ten times more from you! The sooner you get your head around the idea of tomans, the better! 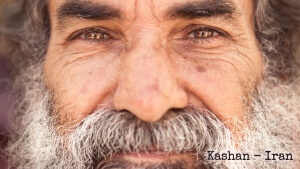 Another thing were the Mullahs, the pictures of martyrs of Iran-Iraq war, blocked facebook… For me it was somehow strange how free people are in their minds and how different the state, the rules, the picture of Iran we have in our media – is. ANNA // That’s why we travel, no? To see, check, feel and talk, with the real people, not with a travel guide or a political magazine. / more about places we visited and people we met —> soon! ← Previous Post: 2016 what we don’t wish you! → Next Post: Refugees, taking action part 2! Call for… laptops! Thanks for posting this great article! It’s very interesting! keep up the great work! P.S. bardzo podoba mi się formuła tego artykułu!!! Dzięki za komentarz – forma to taki nasz mały eksperyment, zaczęliśmy gadać i tak wyszło. Swietny artykul. Dziekuje, ze po raz kolejny walczycie ze stereotypami! 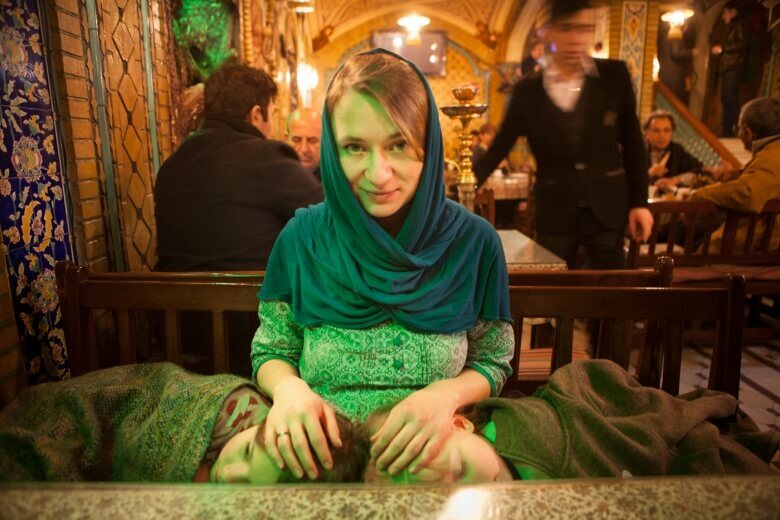 I spent in Iran almost 2 years – never, and I mean: NEVER anything bad happened to me. Even when I was once coming from big party with some “exclusive drinks”. I wish people would know more about this country. Thanks for such an eye-opening account of your travels in Iran! That was the most interesting read I have had in a long time. I love this story. And I love to travel the world over – however being that I have a 3 year old, and I am from the US I doubt Iran is on my list of travel places. Which is too bad because it looks very interesting. My son is 1year (17months) at the moment. We’re planning to go to Indonesia first in October (Tapei-Jakarta-Lombok). 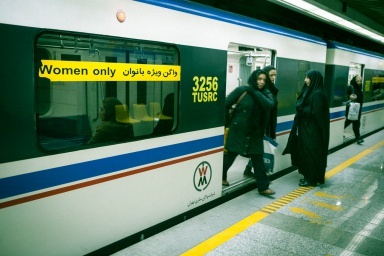 I really, really, really would like to go in Iran. I’m not sure yet when exactly. Either December or in March/April next year. My son would be 2years at that time. Do you think we should do this? I’m really curious where you have stayed and how you have travelled through Iran. Is it easy? For how long did you stay? I’m really looking forward to your answers as you are the first family that I have read that have been in Iran. My friend and I always dream of visiting Iran one day and we’ll trying to accomplish this dream. Through your post, I can assure that I was motivated to make a trip to this country soon for its people and unique culture. And I was impressed with your family that all of you could make a Iran visit together. Really admire that. I’m from Iran and I read your intresting and beautiful article about my country . I want to invite all the people around the world to visit this amazing country and its old culture.I undrestand wearing scarf is too difficult and hot specially in summer but it is the rule of my country and I respect it. Don’t forget to visit Hamedan, Isfahan , Shiraz,Mashhad and North of Iran . They are more impressive than Tehran because there are many monuments and tourist attraction. I’m from Iran and I read your interesting and beautiful article about my country . I want to invite all the people around the world to visit this amazing country and its old culture.I undrestand wearing scarf is too difficult and hot specially in summer but it is the rule of my country and I respect it.